Lloyd’s Automotive mission is to treat every customer with a competitive estimate within the surrounding area, with affordable pricing, fare and honest treatment of your service. Installing affordable but yet quality parts standing by our warranty and that of the manufacturer. 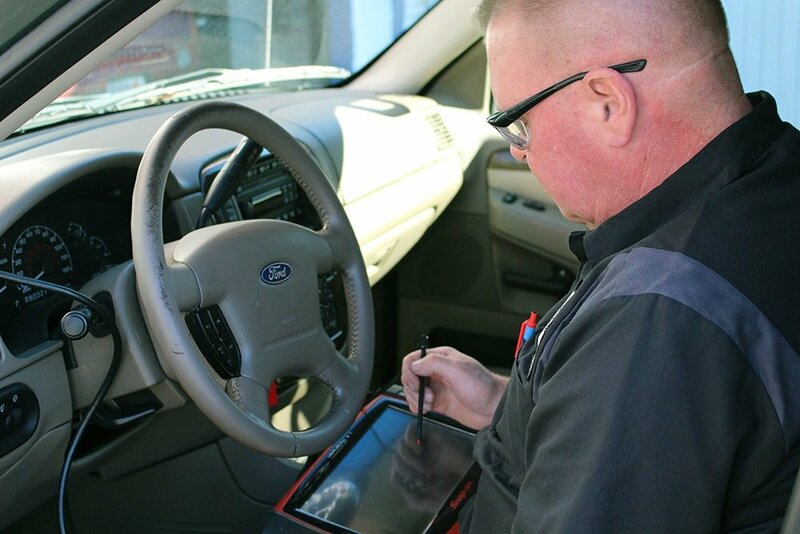 Our technicians will be efficient with the time we take in the repair and keep our technicians updated in the latest technology in the automotive industry. It’s our intent for you to leave satisfied and wanting to return or refer family, friends, and coworkers. We know when our customers are happy, they return and that our client base is 60% referrals. Our auto repair shop has expertly trained service and repair technicians that are ready to offer every customer nothing less than complete satisfaction every time you bring your car to Lloyd’s. Safety and reliability are our number one concerns when we perform any auto repair or auto service on your car or truck. Want peace of mind when buying a new or used car or truck? Lloyds Automotive offers a low-cost, unbiased diagnostics assessment of your potential vehicle purchase. Small Or Large, We Can Maintain & Service Your Fleet Vehicles. With a Fleet Repair and Maintenance Service Agreement in force, your vehicles get priority service which means your vehicles get in and out before the drive up business. Get your emissions tested Here! Help Keep Washington Green. For numerous years Lloyds Auto Repair has proudly performing emissions system repairs and testing in an effort to help improve the quality of air in Washington State. Tired of Unreliable Kent Auto Repair and Service? Sometimes you just get fed up with your auto repair or service company. Unfortunately, frustration over poor auto service, shoddy workmanship, or an inability to make good on promises can force you to seek out a new auto repair company. How do you find an auto service and repair business in Kent that you can trust? 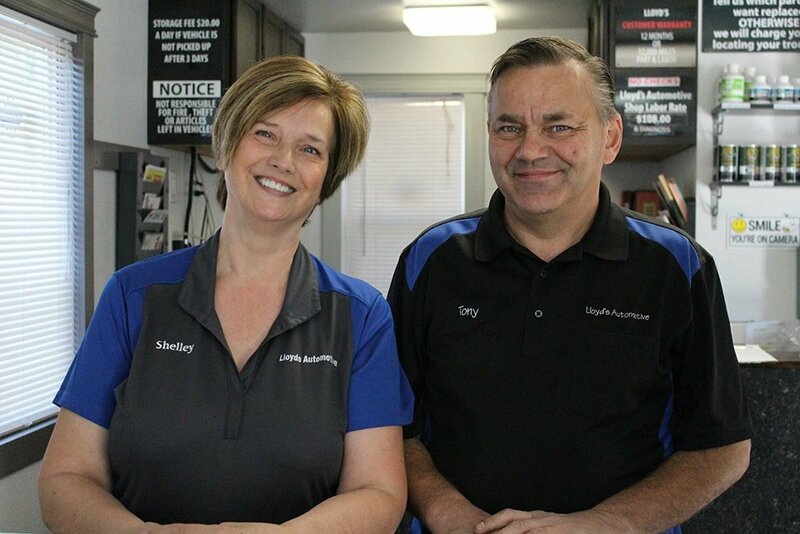 At Lloyd’s Automotive, honesty and professionalism are at the core of our success, and it’s why we’ve been in the Kent auto service and repair business for more than half a century. Our reputation in the South King County area speaks for itself, and we offer a full line of auto repair, maintenance, and service options. Find out for yourself by contacting our Kent auto repair and service specialists today at (206) 824-2225. If you’re currently experiencing a roadside breakdown we can help you by calling a tow truck on your behalf and providing you with immediate attention. Maintaining your vehicle will prevent breakdowns and expensive auto repair bills. Proper auto service also prevents late night breakdowns and other potentially dangerous mishaps. Whether you are protecting your family members from roadside breakdowns, or you need fleet service for your own Kent business, we can keep your vehicles in the best condition possible. Every vehicle that comes through our doors receives a 20 point safety inspection as part of our regular auto service. We also maintain a computer data history for every vehicle on record, maximizing our auto service efficiency and minimizing the amount of time you have to be without your vehicle. The auto repair and service specialists at Lloyd’s Automotive are fully trained to work on most American, Japanese, and German made cars. From simple brake jobs to complex transmission replacements, our skilled auto repair technicians can have you back up and running in no time. Enjoy the peace of mind that comes with hiring a reliable Kent auto repair specialist by calling us today at (206) 824-2225. We’ve earned the trust of King County’s families and businesses, and we are eager to earn yours.